My personal handwriting has changed a number of times over the years. 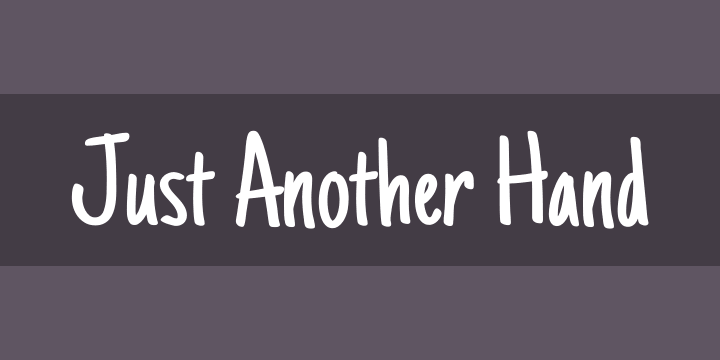 Just Another Hand is a narrow brush drawn handwriting font, inspired by the handwriting of my high school days. There’s a little artistic license taken with Just Another Hand in the sense that while I never really wrote with a brush in high school, I wanted a cleaner stroke for this interpretation. A little personality, a little restraint… a style that works for all sorts of projects across the board.